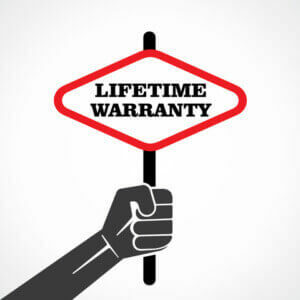 Do you offer a windshield chip repair warranty? We hear this question all the time and the answer is ‘Yes, we do offer a windshield chip repair warranty’. If your windshield chip repair does not hold , then we will give you a full refund of the price of the repair. Unfortunately the answer to this question is No and here is why. When your windshield gets a chip or crack or any kind of damage that compromises the safety of the windshield, you now have a damaged windshield. When we provide a windshield chip repair service, we are working on an already damaged windshield. The chip repair service we have provided will prolong the life of your windshield. Most of the time the chip repair will save the windshield completely and a new windshield will never be needed. But in some cases, depending on the size and style of your chip damage, you’ll eventually need a new windshield. Our service will ensure that you won’t need to buy a new windshield now. You can also think of it this way. Perhaps you get a nail in your tire. Now you need it repaired but you don’t want to buy a new tire yet. You get it plugged and are able to still drive on it. Sooner or later though, you will need a new tire. If the plug eventually gives and the tire becomes flat, the company who performed the service would not be responsible to buy you a brand new tire. They simply ensured that your tire is drivable until the time you are able to get a new tire. And in many cases, you would never need a new tire at all. How Long Does Windshield Chip Repair Last?